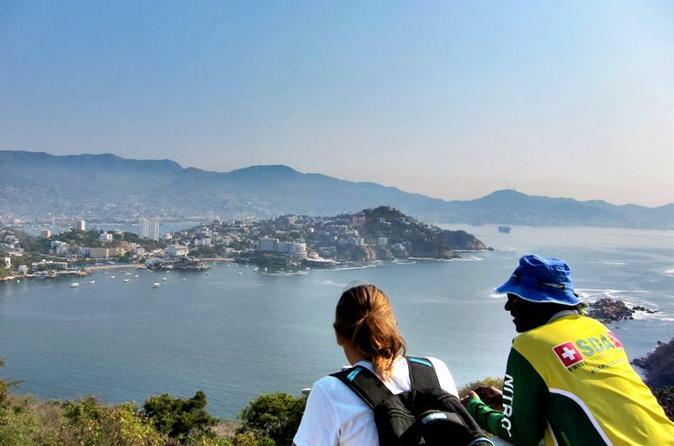 Enjoy this guided hiking tour on Roqueta Island and enjoy beautiful views of the Acapulco Bay. Relax on the guided hiking tour on Roqueta Island in Acapulco with amazing views of the Bay, the wide ocean and much more. The trekking tour takes about 3 hours up to the lighthouse, then to different sightseeing points around the Island and a nice, calm and hidden beach called Palmitas. The guides will provide you with information about living animals, trees, plants and stories during your walk on the Islands. All guides are local natives with 10 plus years experience guiding tours.